Education at Kahilu Theatre is our passion and our priority. We sponsor activities, year-round, for students of all ages. 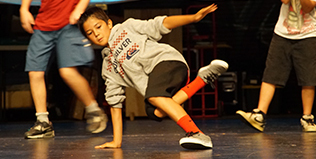 Programs include Performances for Young Audiences, after-school classes and camps, master classes and workshops, and our Kahilu Arts partnership with Waimea Middle School. Dont's miss out! 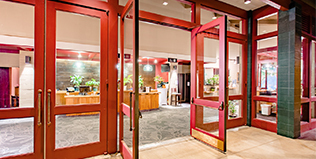 Sign up for the Kahilu Theatre weekly eBlast to stay current with happenings at the theatre. Join Us! Your support is what makes Kahilu a thriving community-based performing arts center. Become a member or be creative with your support by making a gift in honor or memory of a loved one, initiating a planned gift, or seeking a matching grant from your employer to double the impact of any gift. Volunteers are the heart and soul of our organization. They generously provide hospitality and other services to bring the arts to life. Kahilu Theatre is a not-for-profit community arts and education center dedicated to serving you--our diverse Hawai'i Island community. Each season we fulfill our mission through presenting world-class artists from Hawai'i and beyond, sustaining a youth arts education program, providing performance space for community based productions, and showcasing local visual artists in our two galleries. Everything you need to know to plan your visit including directions can be found on this site. Our in-theatre bar also offers refreshments, premium wines, and craft beers.